Having a gorgeous smile is easier than ever! want to be your family dentist home! Welcome to New Braunfels Dental Arts! Hello and welcome to New Braunfels Dental Arts! 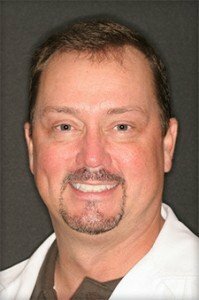 Your New Braunfels dentist, Dr. Craig Braun, is happy you stopped by. Dr. Braun knows that having a dentist you can trust is important, which is why he and his friendly, well trained team will listen to your concerns and address your needs to your satisfaction. They will earn your trust the right way, by doing everything they can to keep your teeth healthy and your smile beautiful. Whether you’re looking for cosmetic dentistry to enhance the appearance of your smile or sedation dentistry to help you feel comfortable or general family dentistry and routine cleanings, Dr. Braun provides the comprehensive dental treatments you need with the honesty and care you deserve. One visit with Dr. Braun and you will leave knowing that you and your loved ones will be taken care of like family. We look forward to being your dental home for healthy, dazzling smiles! Cosmetic Dentistry: Teeth whitening, dental veneers, dental implant restoration, and 6 Month Smiles are all cosmetic dentistry treatments offered by Dr. Braun at New Braunfels Dental Arts. We care about your smile and will listen carefully to your cosmetic dentistry needs and desires to give you the straightest, whitest, and brightest smile possible! 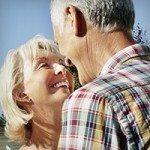 Restorative Dentistry: Restorative dentistry includes dental crowns in a day (E4D technology), dentures and dental bridges. All of these treatments are provided routinely by Dr. Braun and our friendly, well-trained team to help you have a smile that is healthy, functional and beautiful. General and Family Dentistry: Some of the most commonly known services such as fillings, root canals, routine visits with a hygienist (for patients with healthy gums), and advanced periodontal care dental cleanings (for patients who need gum therapy) are just some of the family dentistry procedures we offer in our office. These general family dentistry services are provided to help you keep your teeth and mouth healthy for a lifetime. 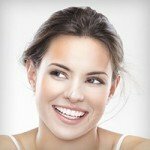 Sedation Dentistry: We offer options for sedation dentistry treatments so your visits with your New Braunfels dentist can be stress free and comfortable. Being a sedation dentistry doctor is an important part of our practice as we know that staying relaxed and comfortable during your visits with us will help you to receive the treatments you need. Sedation dentistry is one of our treatments that we share with you with caring confidence. As you can see, you will have many treatment options such as cosmetic dentistry, family dentistry and sedation dentistry at New Braunfels Dental Arts to achieve the healthy and gorgeous smile you deserve. Having a great smile means different things to different people. We will listen carefully to your dental needs and wants so that we can provide treatment that will achieve your goals, while keeping your teeth and mouth healthy and functional. We value the trust you place in us and will do our best to make your dental visits a positive and comfortable experience. Come in and experience truly compassionate, honest, comprehensive dental care provided by your New Braunfels dentist, Dr. Craig Braun, and his fantastic team. We look forward to being your new dental home!